Similarly to our colleagues in the Marches, CMC members in northwest Wales also like climbing on Wednesday evenings; the main difference being the wall we climb at. If the Boardroom sounds like a long journey east, instead consider our journey west to the Beacon Climbing Center at Caernarfon instead. 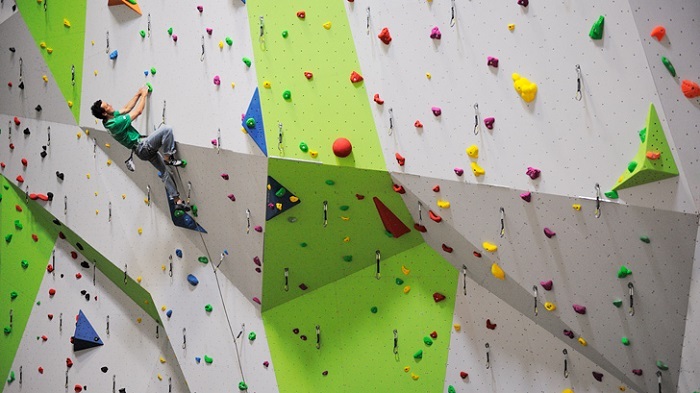 The Beacon Climbing Centre’s new facility in Caernarfon opened in July 2012 with climbing walls up to 17m high and extensive bouldering. Offering some of the best indoor climbing in the UK it is a premium all weather venue suitable for all the family. This website is © Copyright Clwyd Mountaineering Club 2019. That the individual copyright © remains with the writers, artists, and photographers. No part of this website/publication may be reproduced without the prior permission of Clwyd Mountaineering Club.